No, we don’t mean his first watch. We mean, the first watch. 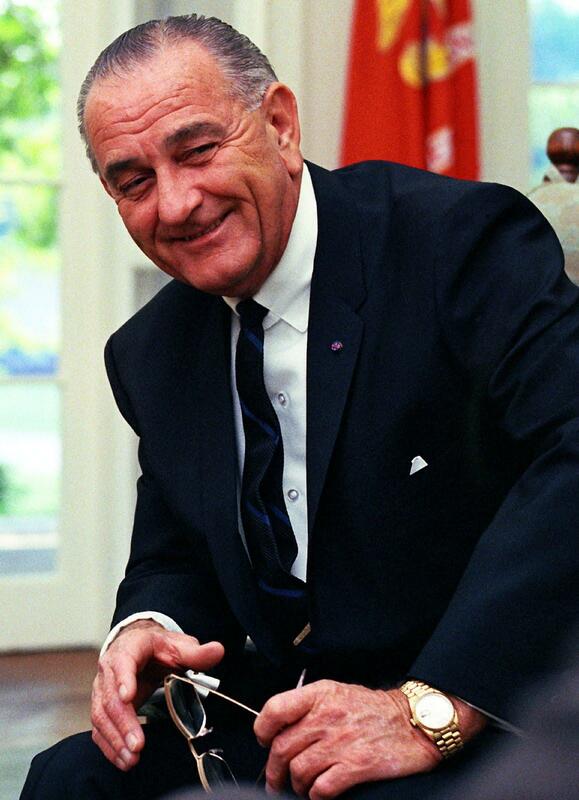 Legend has it Lyndon Johnson monikered one of Rolex’s most famous watch, The President. 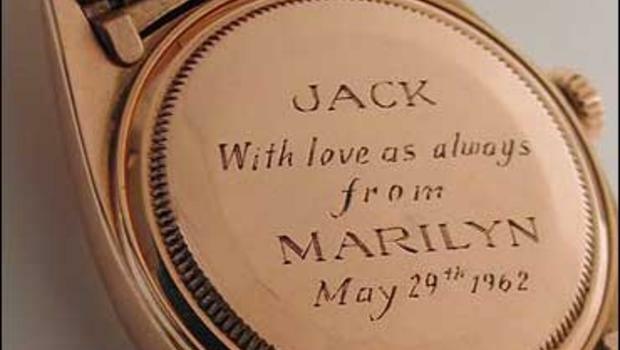 To this day there is still some debate, but the one thing that is clear is that Johnson loved his Day-Date — wearing it throughout his presidency and often gifting it as a sign of thanks and gratitude to the people in his life. A few years before Johnson, Rolex had given Dwight D. Eisenhower a DateJust to celebrate its 150,000th chronometer. It was engraved and sported their newest bracelet, The President, which many suspect got its name from the famous American leader who wore it. Outfitted in 18k gold, the classic Date-Just looked extremely similar to the Day-Date, and is widely believed to be the predecessor to the now famous watch. Then there was John F. Kennedy, who infamously, was given a personally engraved Day-Date by Marilyn Monroe the same night she sang, ‘Happy Birthday Mr. President’ at Madison Square Garden. Kennedy never wore the watch, reportedly telling his aid to, ‘get rid of it.’ Although, back in 2005 the watch resurfaced and sold at auction for more than $120,000. President Lyndon Johnson would then become the first president to officially wear the Day-Date, where many believe the nickname ‘The President’ stemmed from. By 1966 Rolex was even advertising the watch and its connection to the White House, and history was made. Today though, there’s still debate amongst collectors as to which president contributed most to the nickname. But, since Johnson that was the first to officially sport it in the Oval Office, we’re sticking with that. 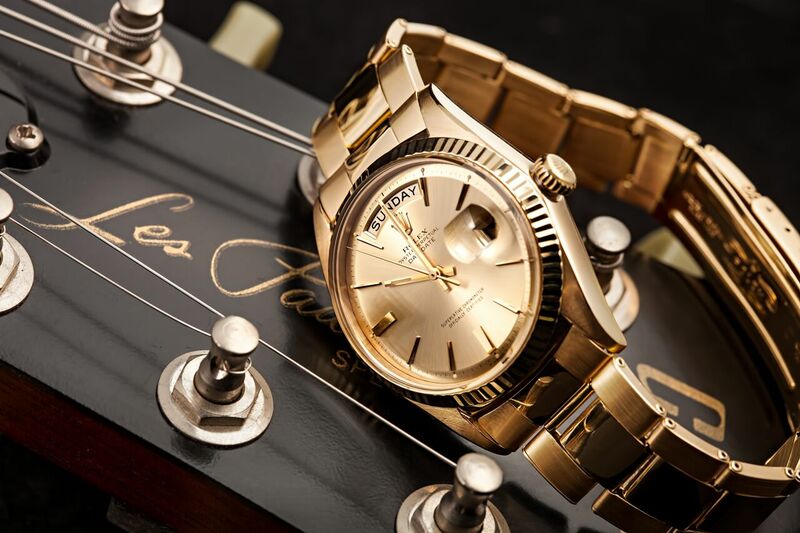 The Day-Date is constructed exclusively in gold. The Day-Date was the first watch to feature both the day and the date — the day of the week displayed at the top of the dial and the date under the cyclops lens at three o’clock. Today, we don’t think twice about this technology, but back in the 1960’s this was an awesome new innovation. The Day-Date comes in either a 36mm or 40mm casing and originally was only available in precious platinum or the more famous 18k gold. Of course, the watch also sported the new band, The President, to match. To this day, the President bracelet is only available with the Day-Date and some versions of the lady Date-Just. Inside the 36mm watch is a brilliant caliber 3155 movement, the 40mm sporting a 3255 movement. Both are self-winding and boast a 48 and 70 hour power reserve. On top of that, both movements feature double quick-set day and date complications, which allow their owners to change the hour as they travel time zones without affecting the second timer. Nifty, right? Today you can also choose a wide variety of dials, bezels and hour marker for the Day-Date. Additionally, you can choose between the classics like yellow gold or platinum, as well as white gold or rose gold.